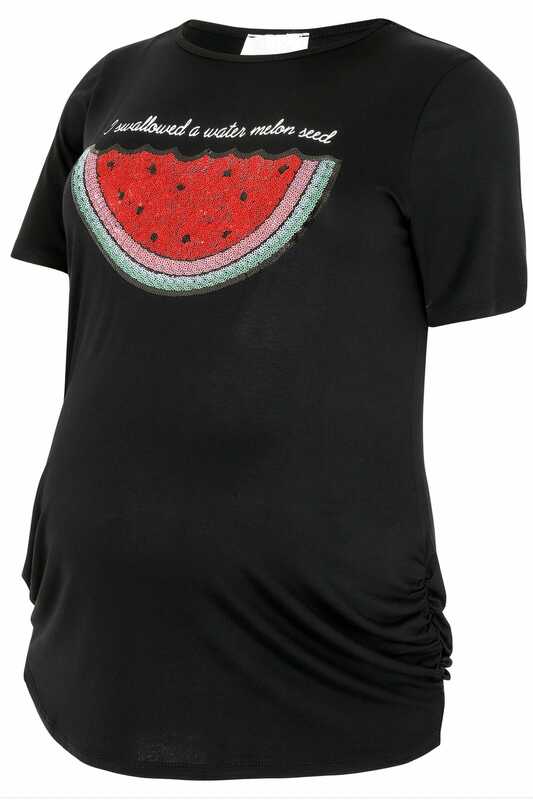 This stylish maternity top is made from a stretchy jersey fabric with ruched sides to make room for your growing bump. 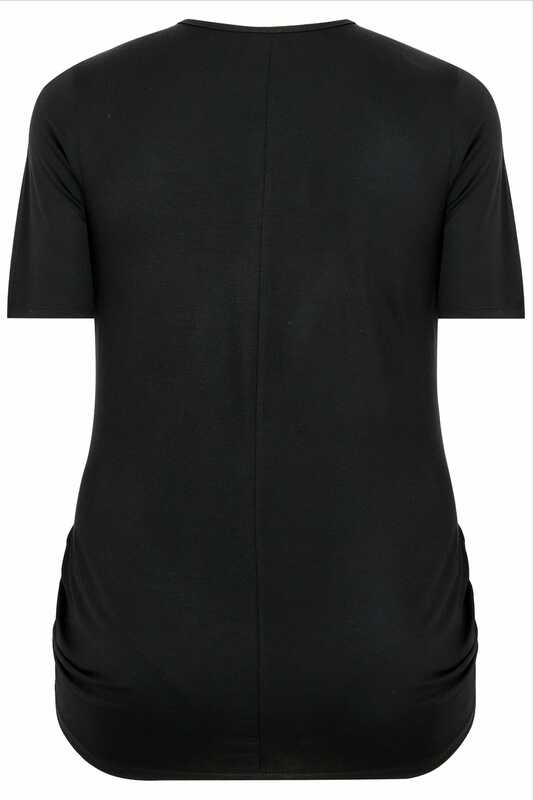 Team with jeans and pumps for a chic casual look. 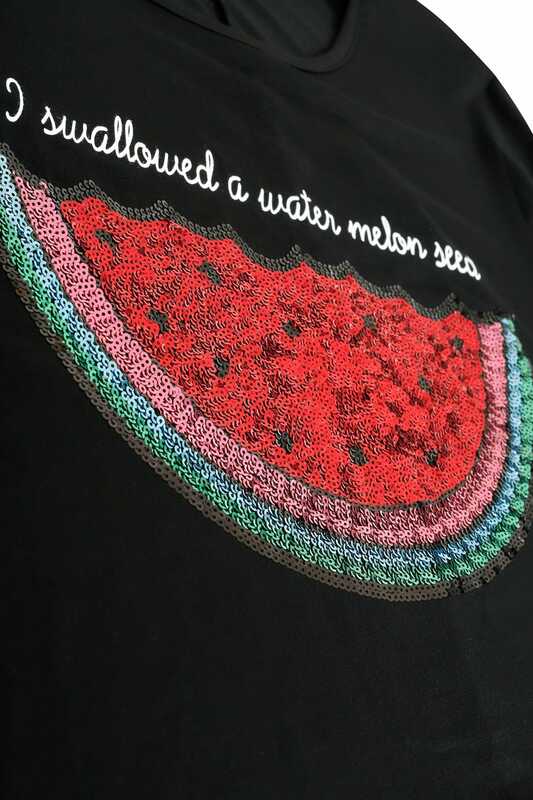 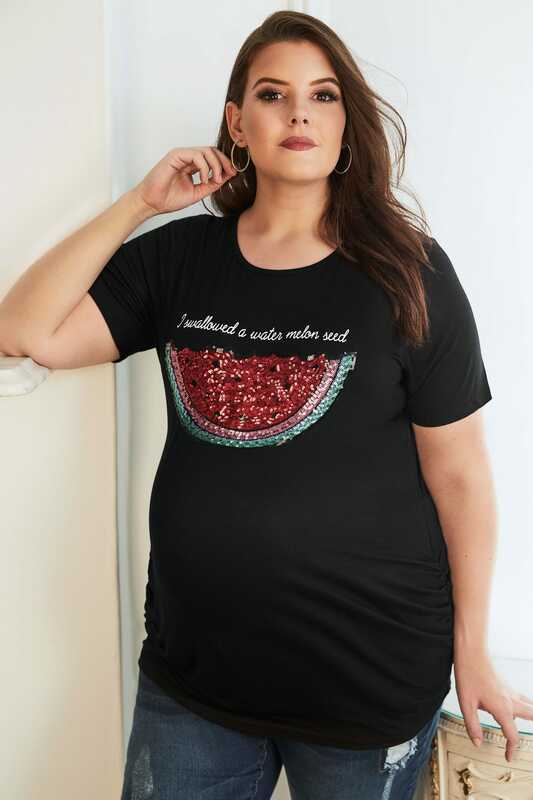 We love the humorous text and the glam sequin watermelon!